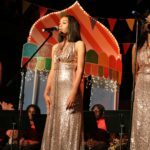 The Charlotte Amalie High School Music Department held its annual Christmas concert on Dec. 11, featuring student musicians performing a variety of Christmas tunes and tributes to musical legends, such as Prince and Nick “Daddy” Friday. The two oil paintings and three sketches by Pissarro were delivered to Christiansted, where they can be displayed securely until repairs are completed on Government House on St. Thomas. 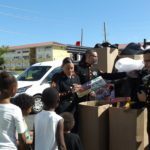 The organizations have worked together to purchase $15,000 in toys from Kmart for 905 children living in 10 housing communities on St. Croix, and $15,000 in toys from Kmart for 889 children living in eight housing communities on St. Thomas. In February 2019, G-Clef's dream will come true with its new location at Sunny Isle Shopping Center, unit 9, next to Rainbow. Register now! 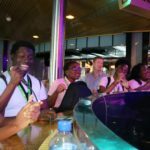 In an effort to support its port-of-call communities, Carnival Cruise Line partnered with the V.I. Department of Education to facilitate a day-long workshop for local students to hone their musical skills. St.JanCo, "The St. John Heritage Collective," will celebrate V.I. 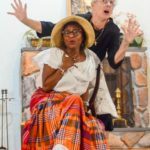 history, culture, and identity through storytelling at an event Sunday that is open to the public. 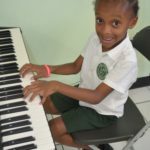 The donations from these organizations opened an opportunity to help the Music In Motion School to keep their doors open and allow the children of the St. Croix community to participate in the afterschool program. 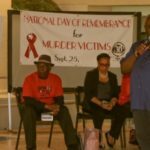 As part of a presentation entitled “Reflections of Life & Love,” The Women’s Coalition of St. Croix (WCSC) showcased a Wall of Remembrance with the names of 823 residents of St. Croix whose murders, dating from 1974 until now, remain unsolved. 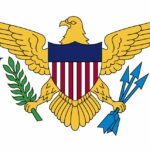 Established in 1990, the Foundation has served as a conduit for over $40,000,000 in funding for community-based projects throughout the Virgin Islands.